For lunch we finished cooking par baked panini rolls and stuffed them with Trader Joe’s Egg Salad and some watercress. 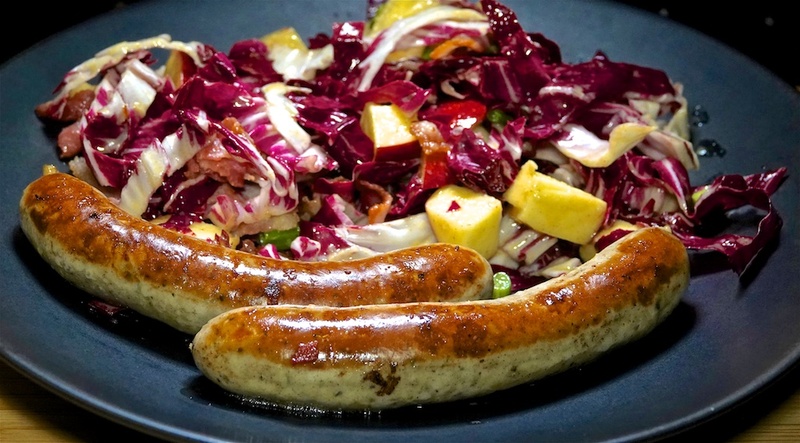 A simple meal featuring some Trader Joe’s Bavarian Bratwurst and an Apple Bacon Slaw, this time with radicchio instead of cabbage. We will get four serves from the salad. A simple, but very enjoyable meal for $3.24 per serve.